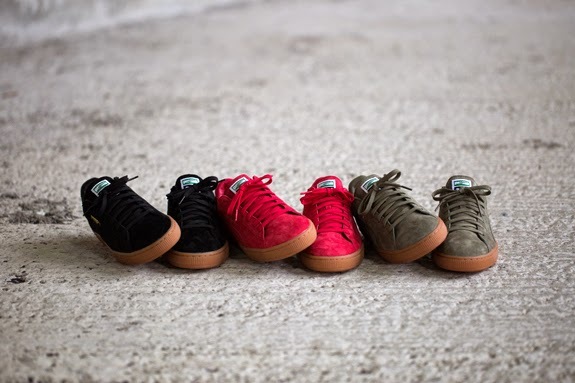 The re-introduction of the PUMA States as the PUMA States Winter Gum Pack. This iconic and timeless silhouette is re-examined through updates to three new winterized color ways and a gum outsole. After being dubbed the ‘States,’ named for its birthplace from the UK sneaker scene, this version has an all-over color treatment. A tonal formstripe in three killer colors, lipstick red-almond, black-almond and olive-almond are perfect for the colder months.